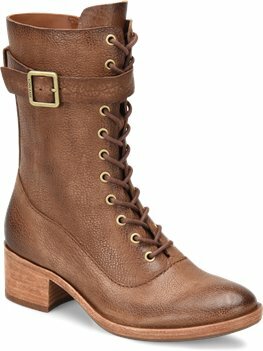 Lace-up design and a buckle strap toughen up this well-built boot. Fits a half size larger. Narrow toe box. 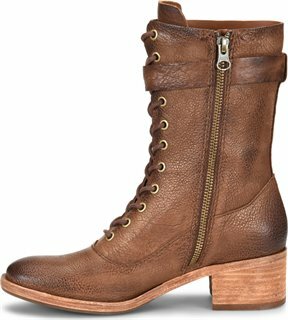 Other than that, beautiful soft leather,, comfortable heel height.